I live in beautiful Washington, DC. Most of the time, my city is known for its partisan gridlock, political corruption, House of Cards-style power struggles, and complete inability to solve both real and manufactured crises. But once a year, when cherry trees blanket the city in pale pink blossoms, we show the world our softer, nicer, kinder side. It is my favorite time of year in my favorite city in the world. 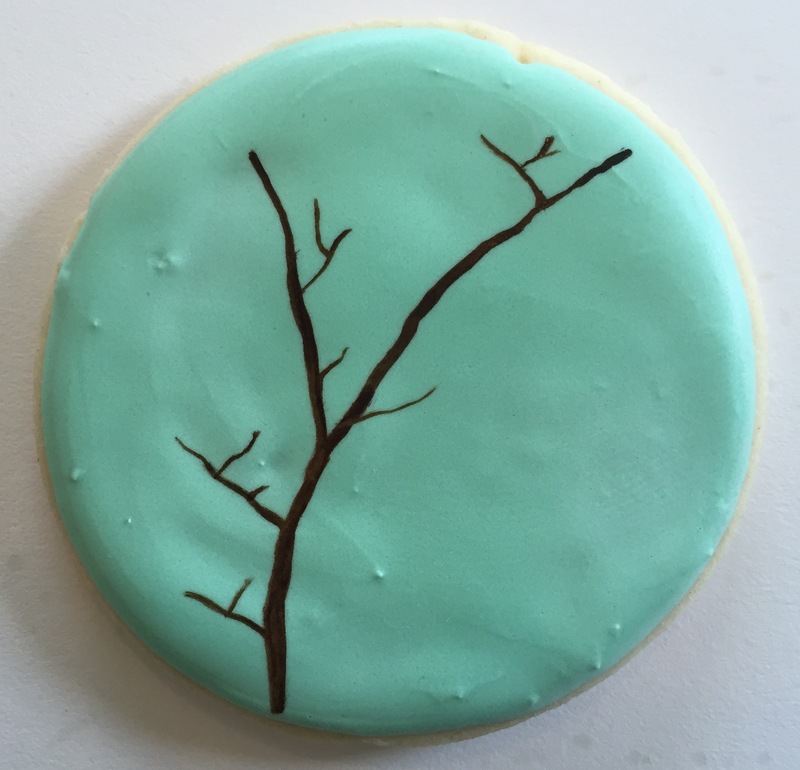 These cookies are a little ode to my adopted hometown. 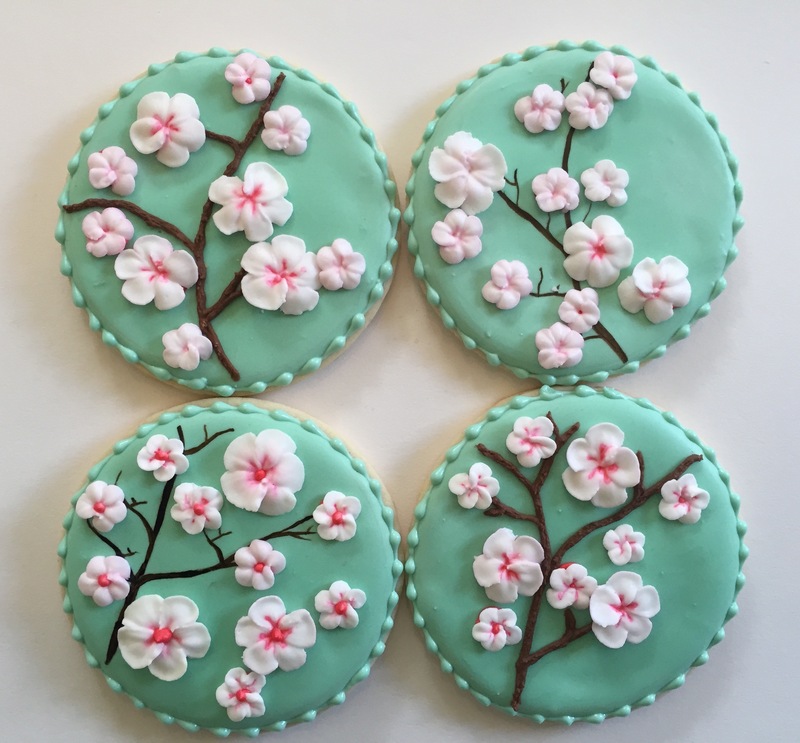 Whether you love DC or not, you can follow the tutorial below to make your own cherry blossom cookies. Happy spring! 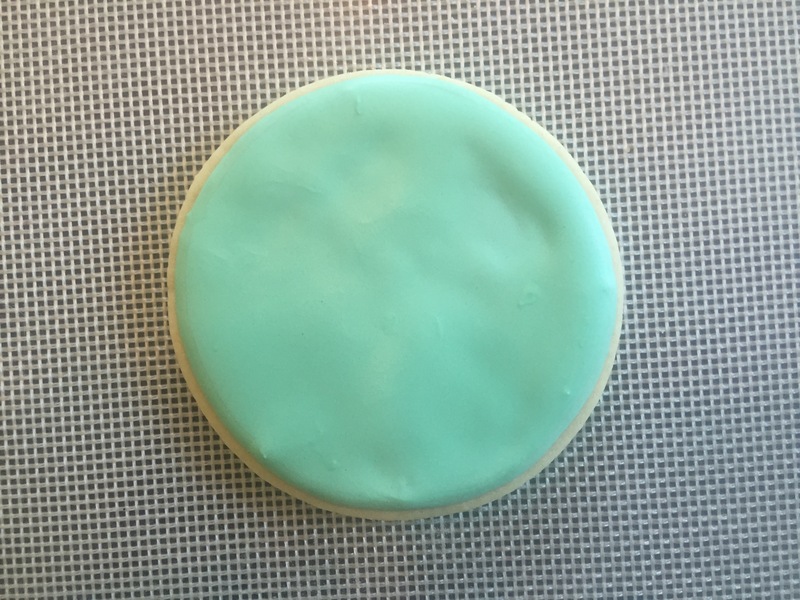 First, flood your cookie using 10-count royal icing. 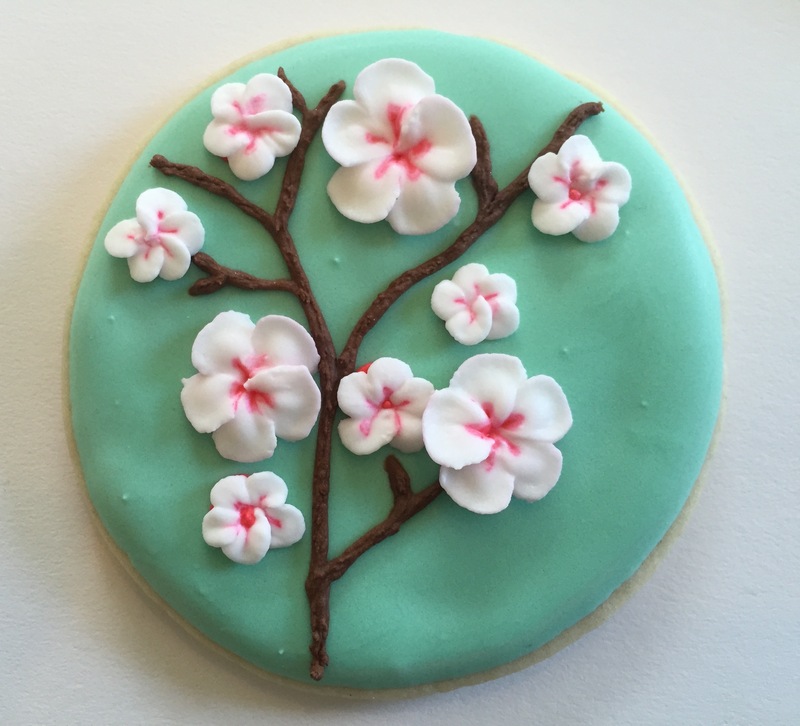 Next, create royal icing flowers using a very thick royal icing. 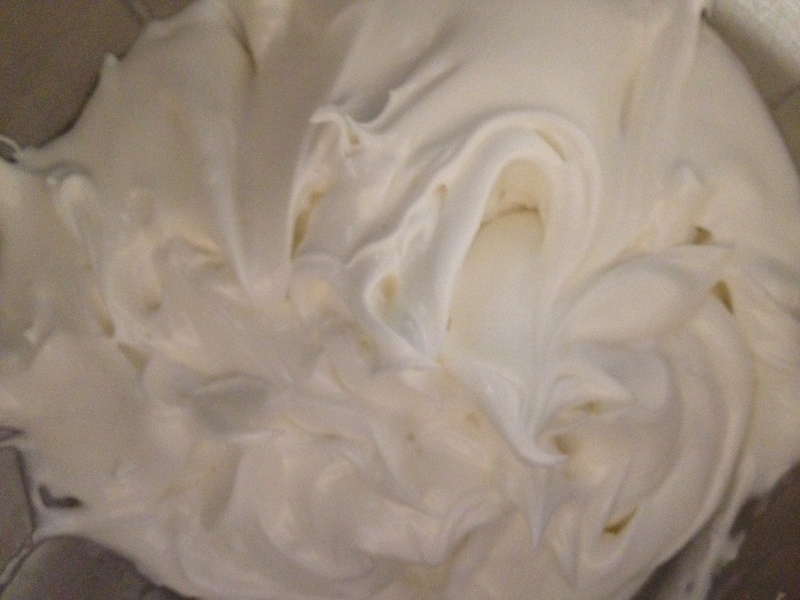 I made this icing with 1/4 cu. 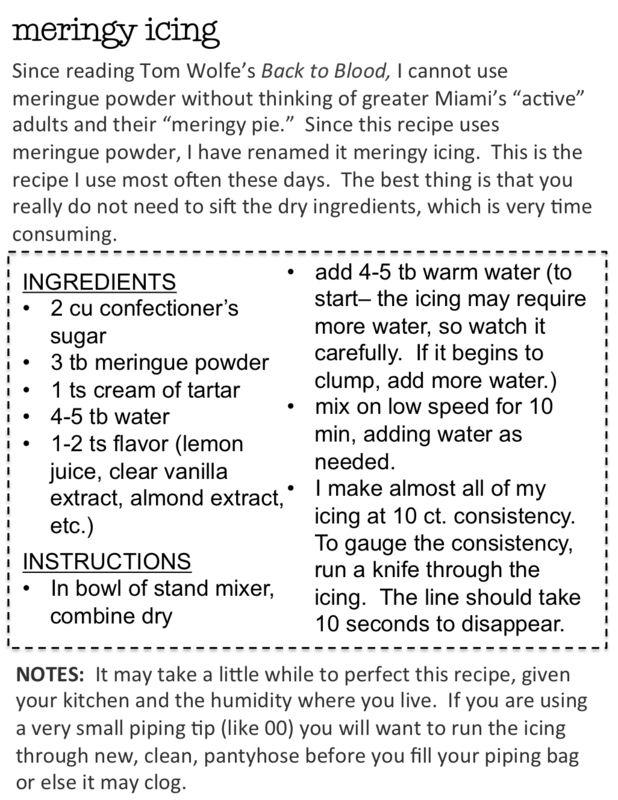 meringue powder, ½ cu. water, and 4.5 cu. confectioner’s sugar. Mix the meringue powder into the water until it is well combined and then add the sugar slowly. Let it mix for around 10-15 mins on med-high until it forms solid peaks. 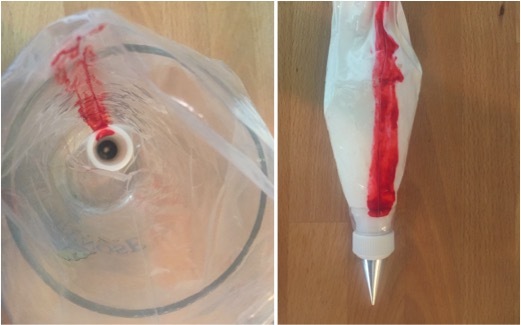 Add a line of pink gel food coloring down the side of a piping bag before loading the icing into the bag. These bags are fitted with 2 tips– a 101 petal tip and a 101s petal tip. Pipe the 5-sided flowers onto wax paper using a flower nail. It is possible to pipe these without the nail, but it is much easier to pipe in a circle if you have a flower nail. 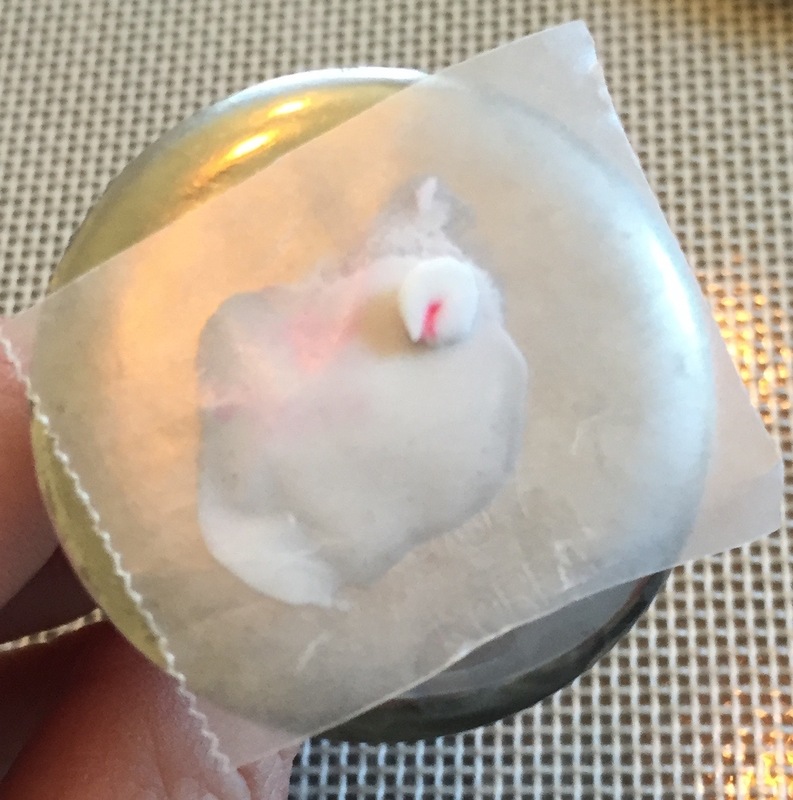 Do this by adhering a small piece of wax paper to the flower nail with a dab of icing. Then, pipe petals directly onto the wax paper. Pipe with the wider side of the petal tip facing down (almost touching the wax paper) and the narrow side facing up and away from the wax paper. I adjusted the tip so that the wider side (which becomes the center of the flower) lined up with the streak of gel food coloring in the piping bag. Because the icing is thick, you may end up with a wing at the end of the last petal (see below.) 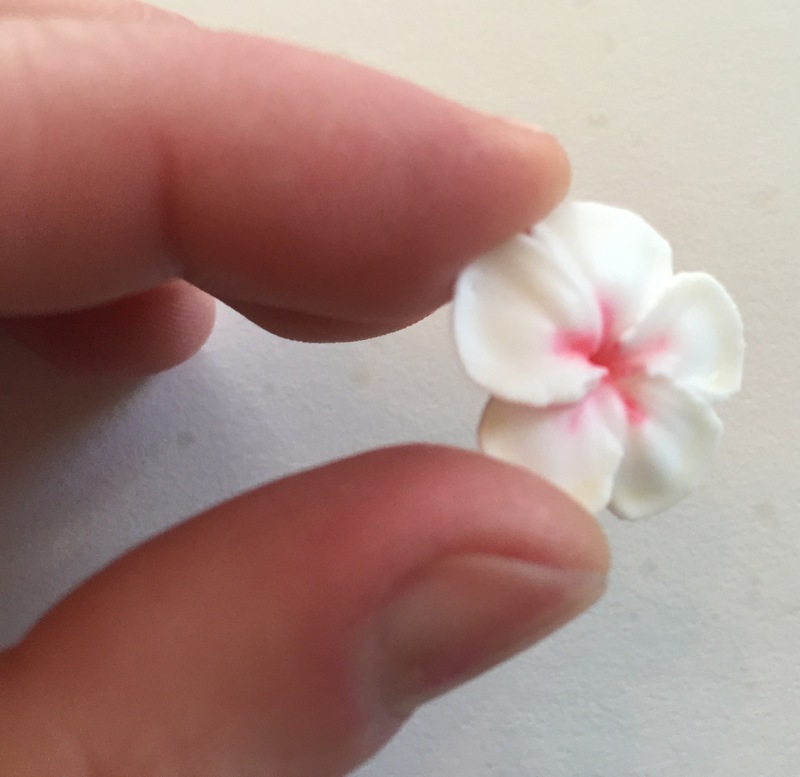 With a toothpick, guide the stray piece down into the center of the flower. 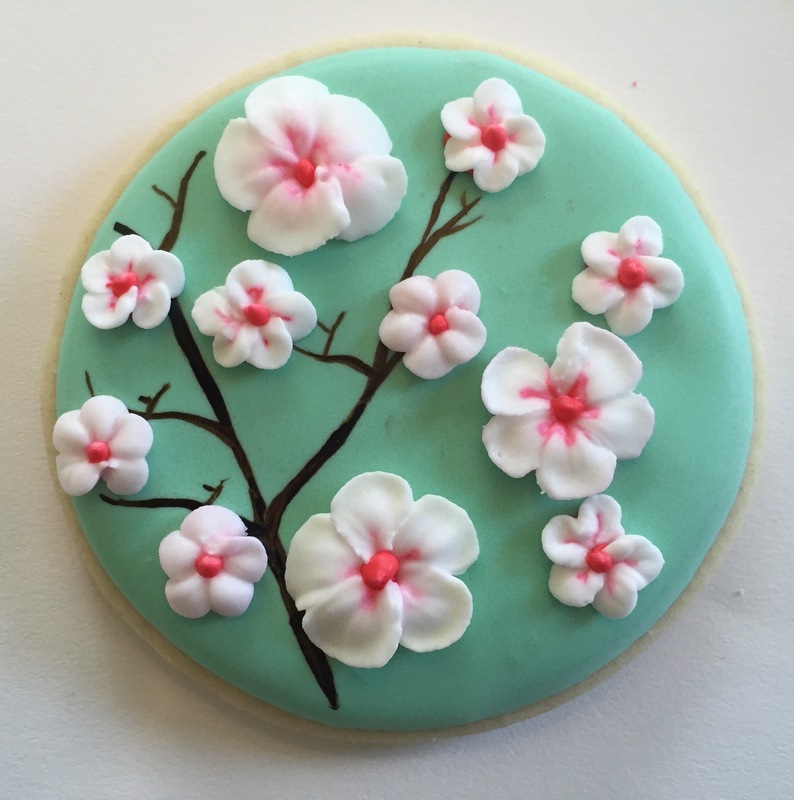 While the flowers are hardening (1-3 hours), return to your cookie (remember that? it was 6 pictures ago!) 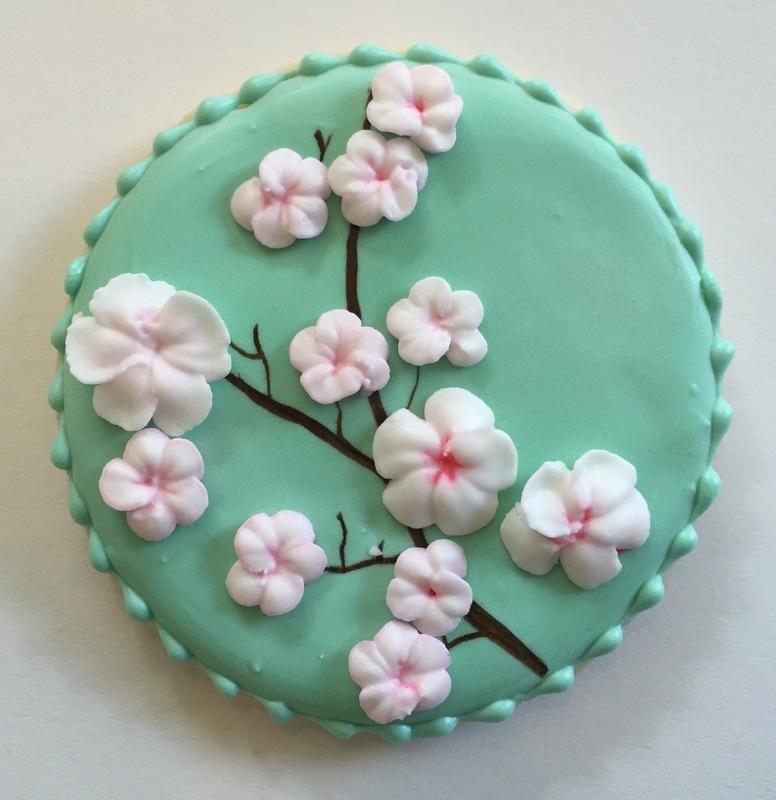 The base coat of icing should be completely hardened and ready for decoration. I used 2 different techniques to create the branches. The flowers will pop off the wax paper when they have hardened. 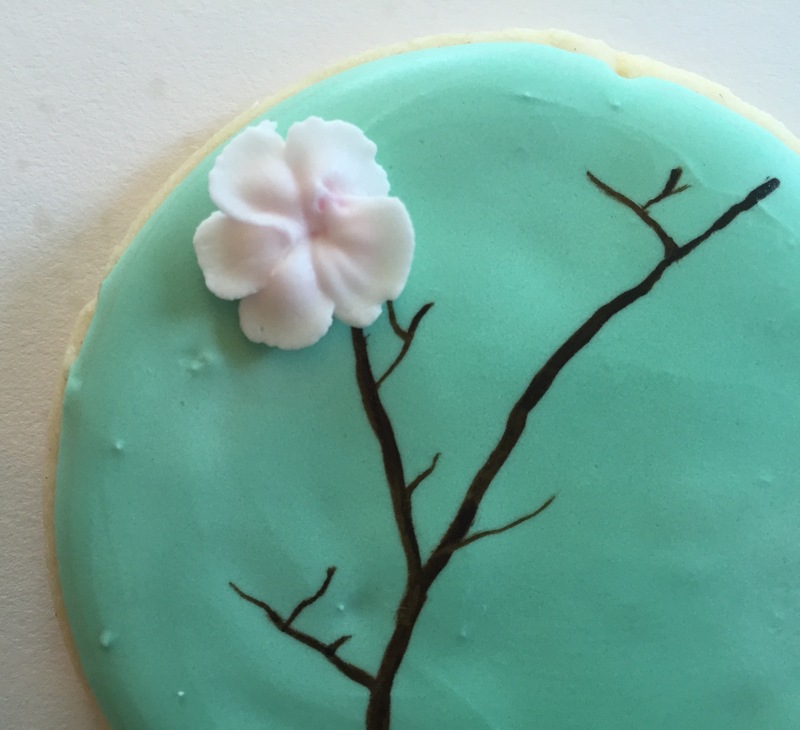 Affix each flower to the cookie with a dot of royal icing on the back. And you’re done! These are so great! Can’t beat the cherry blossoms in DC.